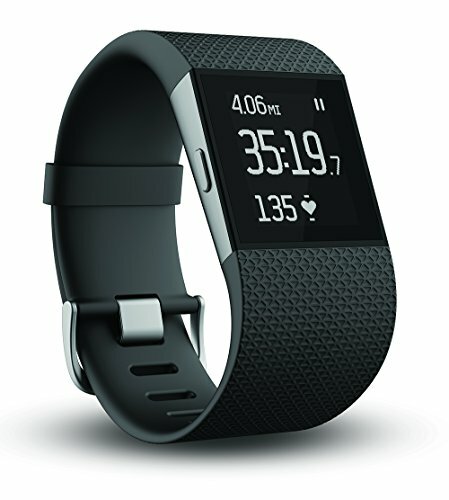 Today I'm going to look at the best fitness trackers and fitness/running smart watches available and compare them to my ideal fitness device. There are several companies converging on this space. Fitness trackers from Fitbit and Jawbone are adding features and becoming more capable devices, while Google and Apple are attacking it with more fully featured smartwatch platforms. Each approach has its merits and will appeal to different types of users. Let's look at the latest products from Fitbit vs Jawbone vs Android Wear vs Apple Watch to see how they compare. The right device for a particular users will depend on the use case he or she has in mind. The Jawbone Up, Fitbit Charge HR, and other fitness trackers are good for basic motion and heart rate tracking (see more info about heart rate monitors below), but aren't designed for serious athletes that want to closely monitor their workouts. The Jawbone only measures resting heart rate once per day, but probably has the most advanced sleep tracking and intelligent wake-up features, and it's more likely than a smartwatch to actually be worn to bed because it doesn't need to be charged each night. The Fitbit Surge walks the line between fitness tracker and smartwatch. It displays incoming calls and texts and can control music playing on a smartphone. Users interested in these features may be better off with a fully featured smartwatch, though. There are several Android Wear smartwatches on the market with fitness features. Heart rate monitors can be found on the Moto 360, LG G Watch R, Asus ZenWatch, and Samsung Gear Live. The Sony Smartwatch 3 doesn't have a heart rate monitor, but is the only popular model with a dedicated GPS. Android Wear devices only work with Android phones for the time being. Apple Watch is the most fully featured and most expensive smartwatch on the market. According to multiple reviews, its heart rate monitor is more accurate than competing devices. It does not have GPS, but several reviews mentioned that the motion tracking was a good approximation after it is calibrated over a few runs. The Microsoft Band is another interesting device with GPS, accurate heart rate monitoring, and two-day battery life. I didn't include it in the chart because Microsoft has said they are only making limited quantities and are using it as a proof of concept for their health software. They intend to license the hardware and/or design to other companies in the future. Unfortunately, all of these devices are only rated as water resistant, so they shouldn't be used while swimming of fully submerged in water. Most dedicated heart rate monitors require wearing a chest strap. This gives more accurate readings, but can be uncomfortable and is not something you'd want to wear throughout the day. Although wrist worn heart rate monitors are much more convenient, they tend to not be as accurate and aren't recommended for serious athletes. The Apple Watch still isn't as accurate as a chest strap, but reportedly was much more accurate around 130-140bpm than the other products mentioned here. I'm curious to see how it does in the 170+ range. It can also be used with a bluetooth chest strap if you need something more accurate. None of these devices quite match my needs, but several come close. I want an accurate heart rate monitor, GPS tracking, and water proof rating. It would be nice if it could play music, monitor my sleep and wake me up at the ideal time, display notifications from my phone, and even run apps. I'm ok if I have to charge it daily as long as it will last throughout a full day of heavy use. The smartwatches are closer to this type of device than the fitness trackers and will likely get better with software updates and 3rd party apps. Hopefully the next generation Apple Watch or Android Wear devices will make the leap and be able to fully replace dedicated GPS running watches and heart rate monitors.